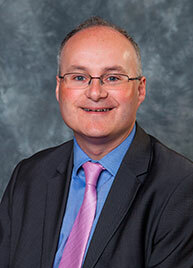 Councillor Simon Geraghty became the youngest County Council Leader in the country when he became leader of Worcestershire County Council in January 2016. Simon has been a member of Worcestershire County Council since 2005, and served as Deputy Leader for five years before being elected Leader. He also sits on the Worcestershire Local Enterprise Partnership Board. Simon has been a Worcester City Councillor, representing St. Clement Ward, since 2000. He became the leader of Worcester City Council in May 2006, and held the position for nine years. During his time in local politics Simon has overseen many major improvement projects. His leadership of the County Council's Open For Business strategy has included the delivery of the Strategic Economic Plan and its ambitions to create 25,000 new jobs by 2025. The creation of development sites (Game Changers) in Worcester, Kidderminster, Redditch and Malvern, along with significant improvements to Worcestershire's roads and rail services, are amongst the infrastructure projects that Simon has played a major part in delivering.